Granite City has won awards nationwide for Best Restaurant, Best Brunch, Best Patio, Best Beer, Best Martini and Best Burger. 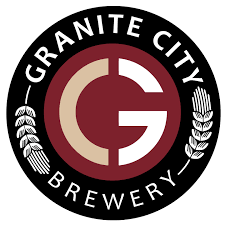 Granite City Food & Brewery is a polished casual restaurant with an on-site brewery. The brewery, with award-winning hand crafted micro-brews, is visible from the main dining and bar areas. The restaurants also showcase an open kitchen featuring chef developed, handcrafted made-from-scratch cuisine, including innovative signature entrees, flatbreads and more. The handcrafted beers are moderately priced and offer unique styles and flavors not typically produced by major breweries. If you need directions, you can find them here. If you can’t make it by 6:30, feel free to join us when you can. Event Coordinator is Rick Jakacki and he can be reached via text at (313) 805-4604.